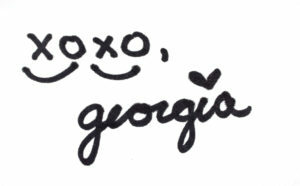 I know, I don’t understand where the time is going but it’s a love hate relationship. 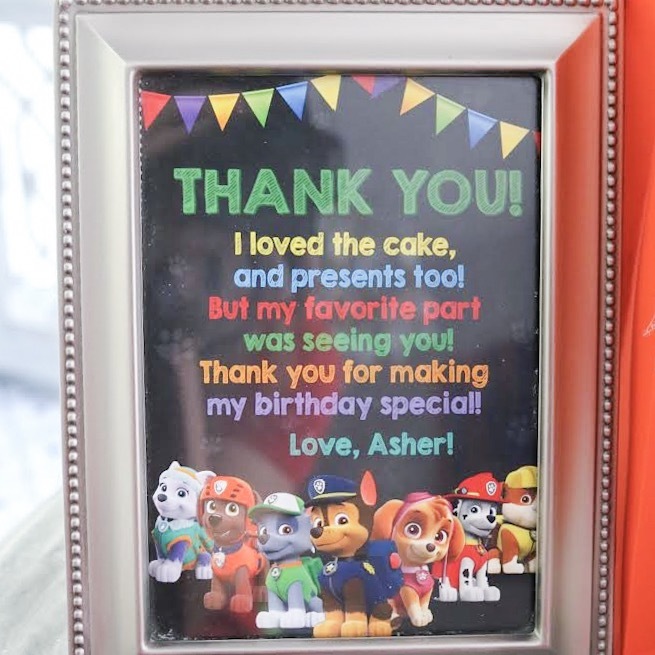 When picking Ashers party theme it was pretty easy- Paw Patrol. His little voice screams it whenever he sees it on tv, or a toy when we’re up and about, so was an easy sell! Well, how do you keep 14 kids busy in January- in a house? Easy- it’s just a matter of having things to do (and a plan). 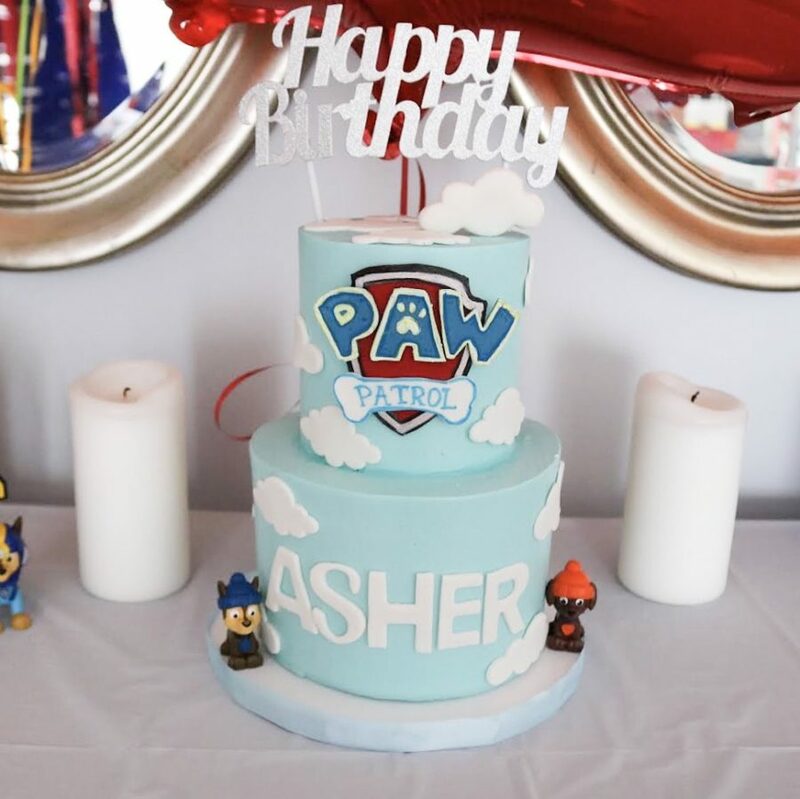 First off, can we talk about this cake? 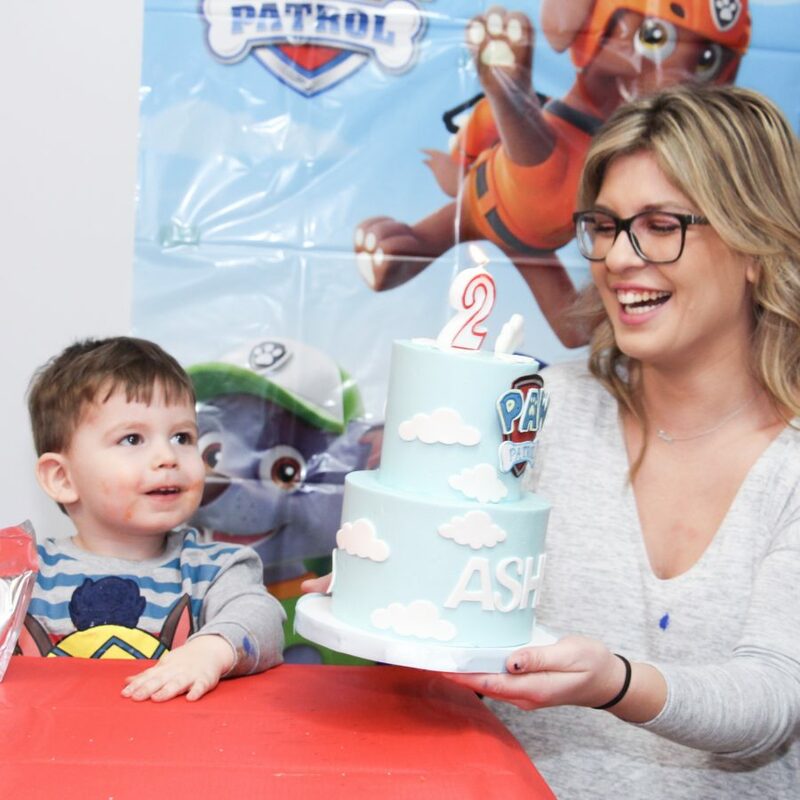 The cake is from Le Dolci and they made our simple Paw Patrol cake vision come to life. The flavour was chocolate and it melted in your mouth, the compliments we were getting were unbelievable! This is our first time using them and we couldn’t have been happier. We rented two tables and kids chairs from Fiesta Rentals. 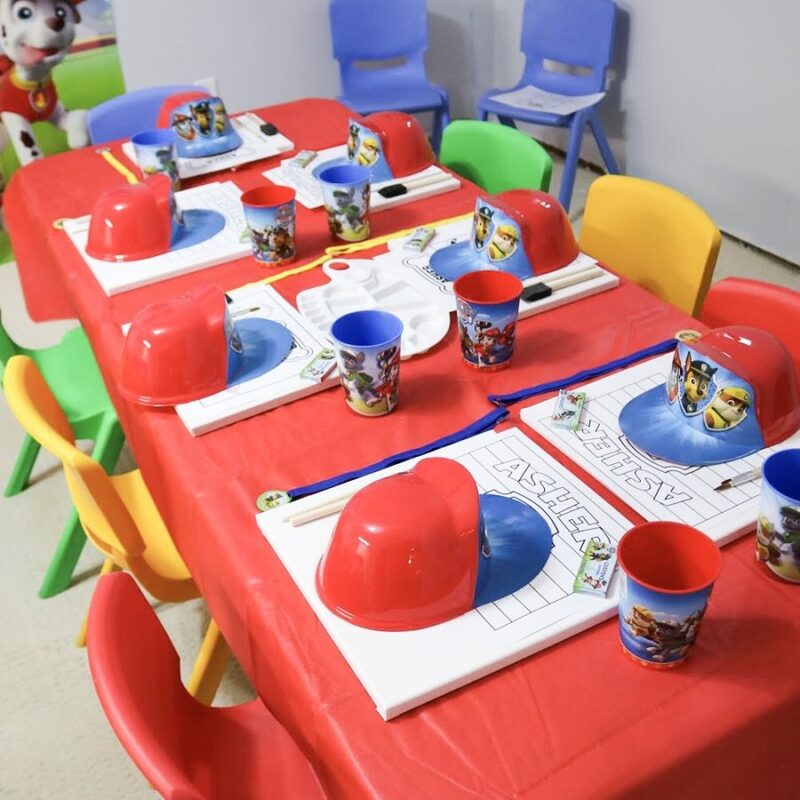 At each place setting we put down a hat and crayons from Party City, a colouring sheet which created for us from Etsy and canvas’s from Michaels. 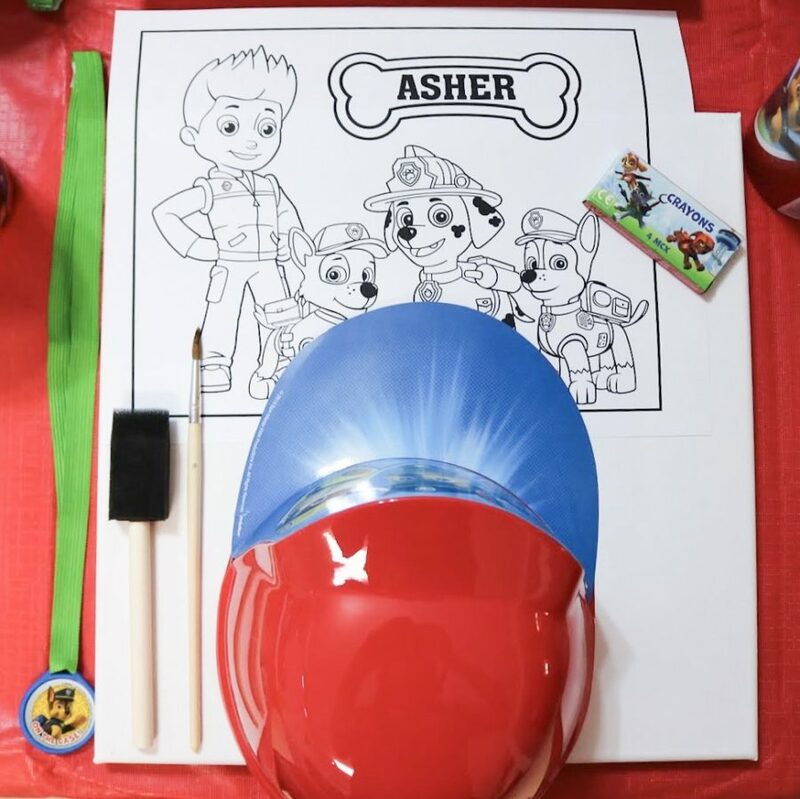 When the kids got there they got to draw on Asher’s personalized colouring sheets and then create a masterpiece, which they got to take home. 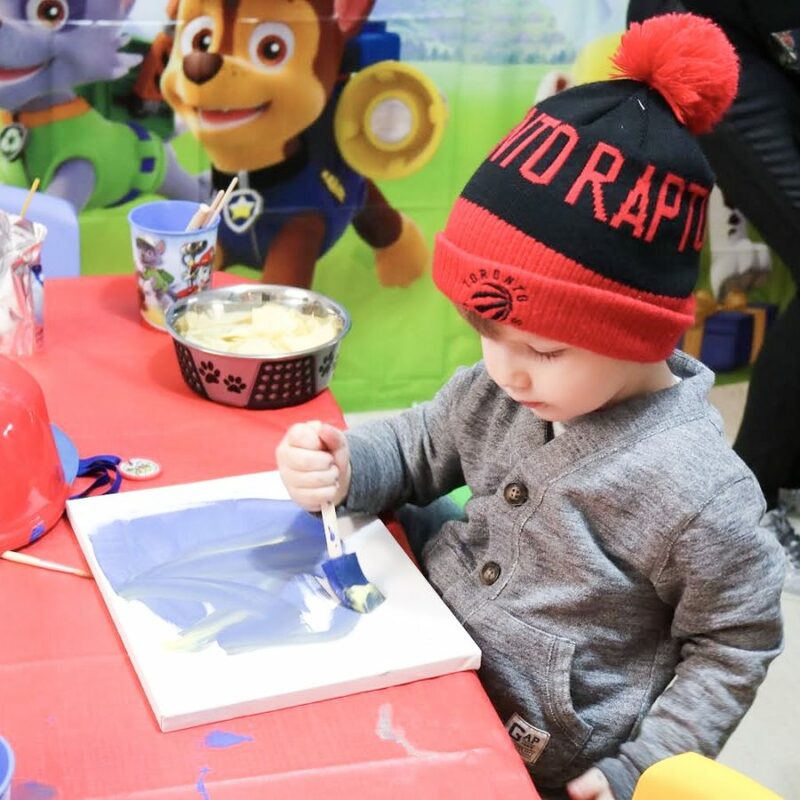 Sure the kids got themselves a little dirty, some didn’t – But it’s a kids party. Take it and watch them smilingwhile having fun. After they were done that I made cupcakes – set some frosting and sprinkles and the kids got to make their own cupcakes. What a treat! 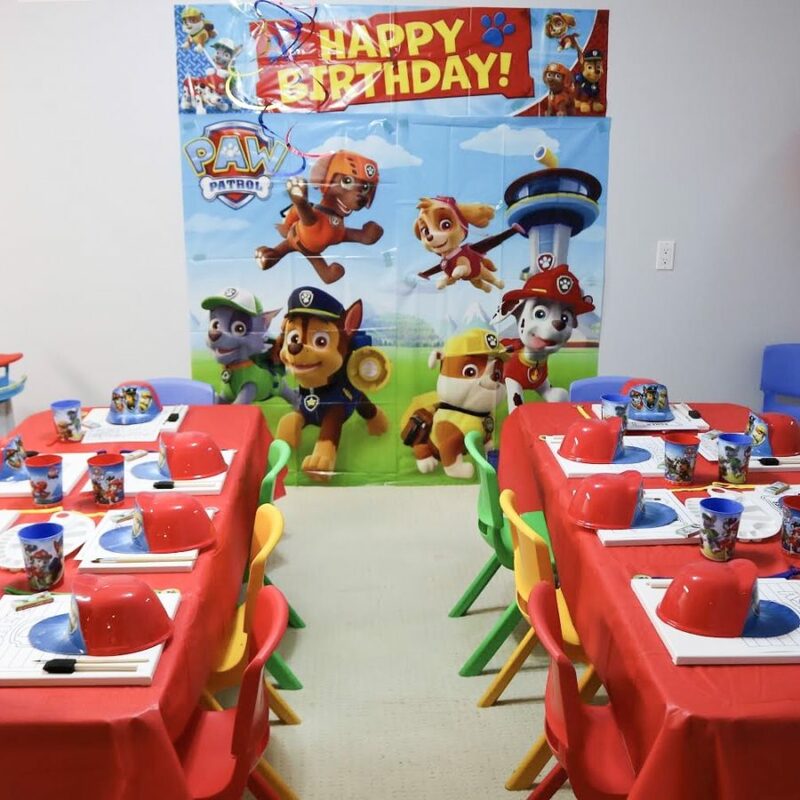 All the Paw Patrol toys and figurines are ours. Luckily, having two boys we have been able to accumulate a ton of toys over the years, its also a great way to save money. 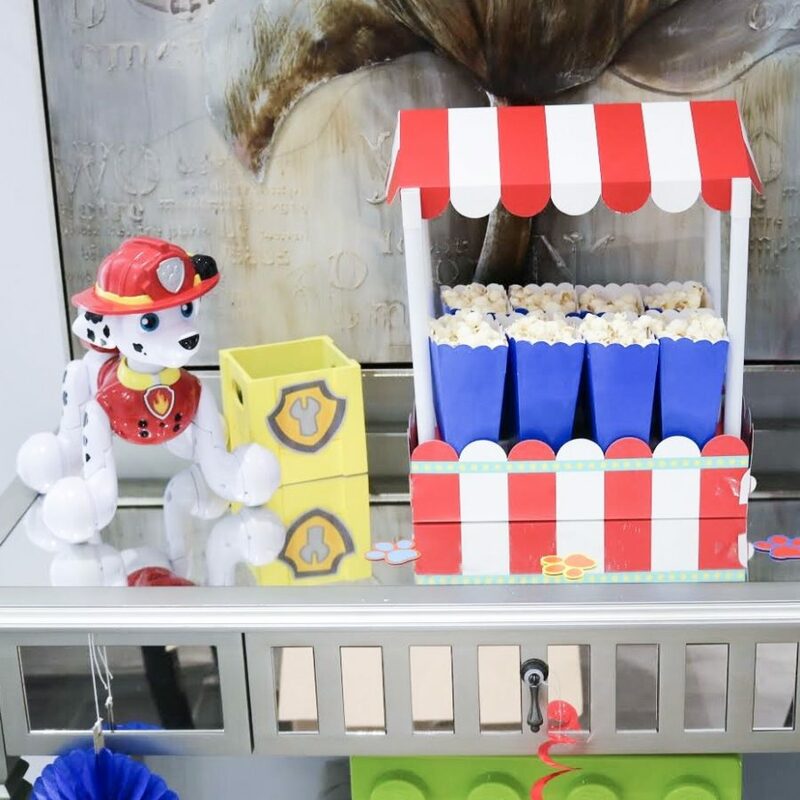 So we used the toys a decor and something fun for the kids to play with! 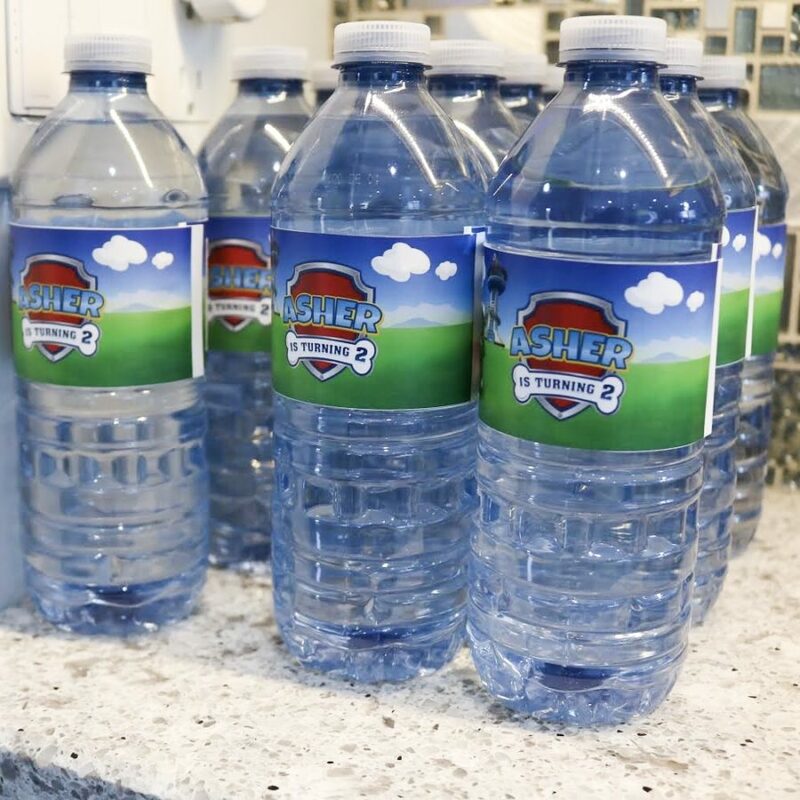 My favourite are the little touches – things like personalized water bottle labels, serving snacks in pup bowls, serving “pup”eroni pizza and pin the badge on Chase! 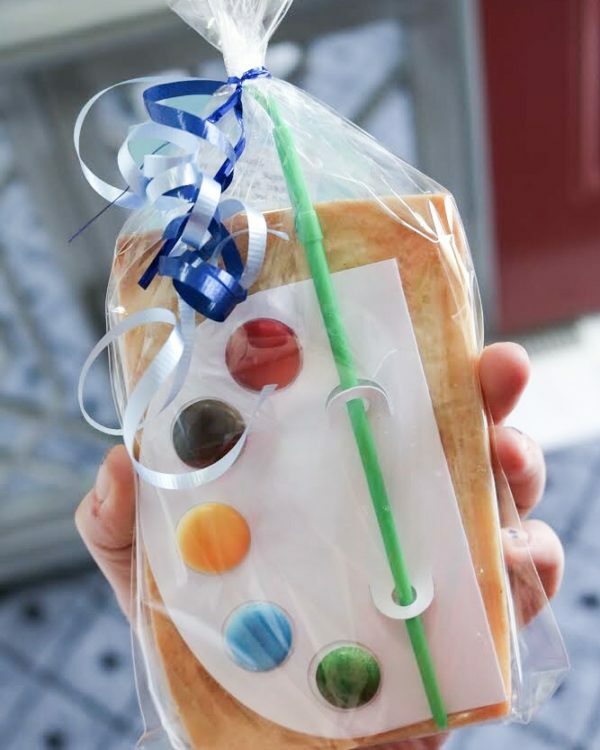 For loot bags I made them all myself – they are so easy to do and so cost effective! Just a matter of construction paper and printing out labels! If you have any questions email me and I can totally help you out! 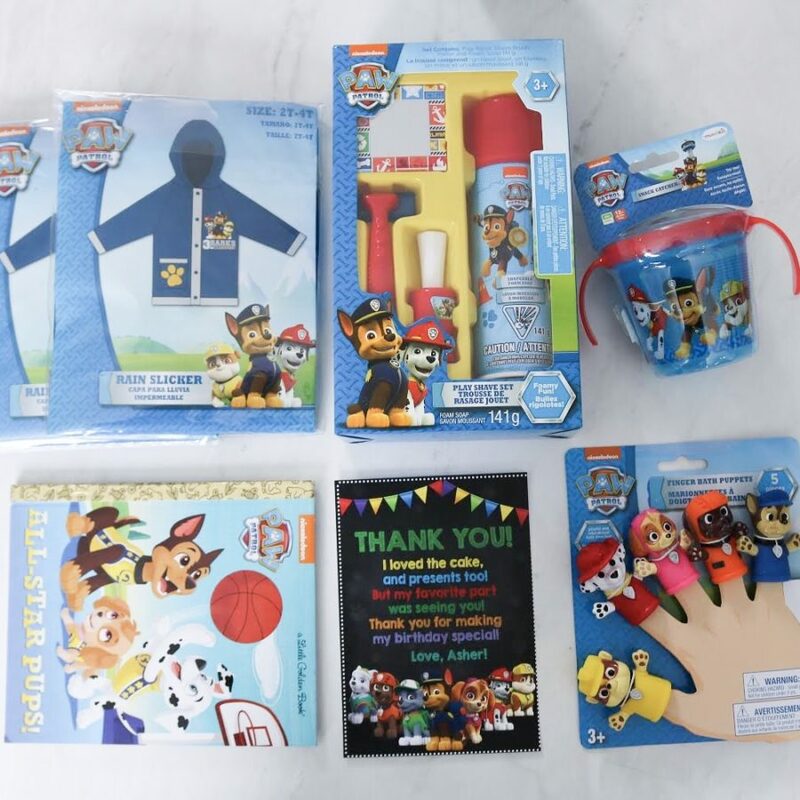 The fun stuff – what goes in the loot bag is what matters! We went to our go to, Buy Buy Baby Whitby! The options are endless and I love making the minis feel extra special. They had rain jackets, books, mini shaving kits, a ton of bath toys and more! 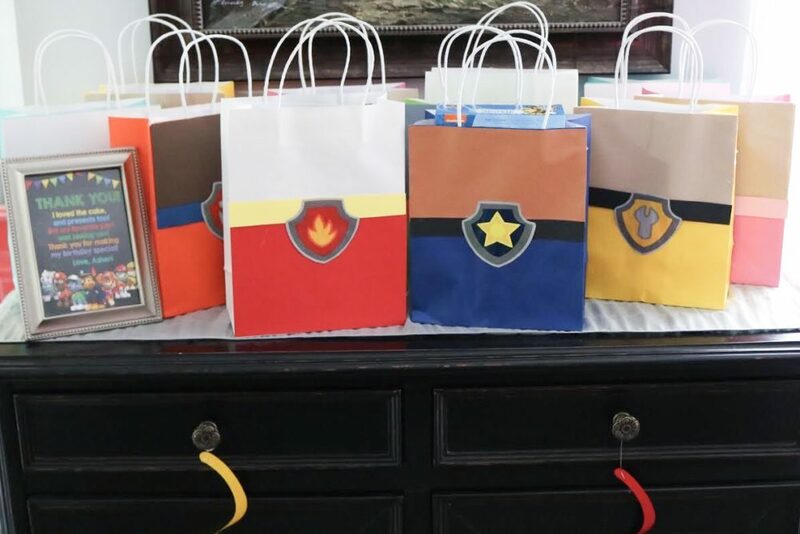 I love all things loot bags because its a thank you for celebrating our little man. 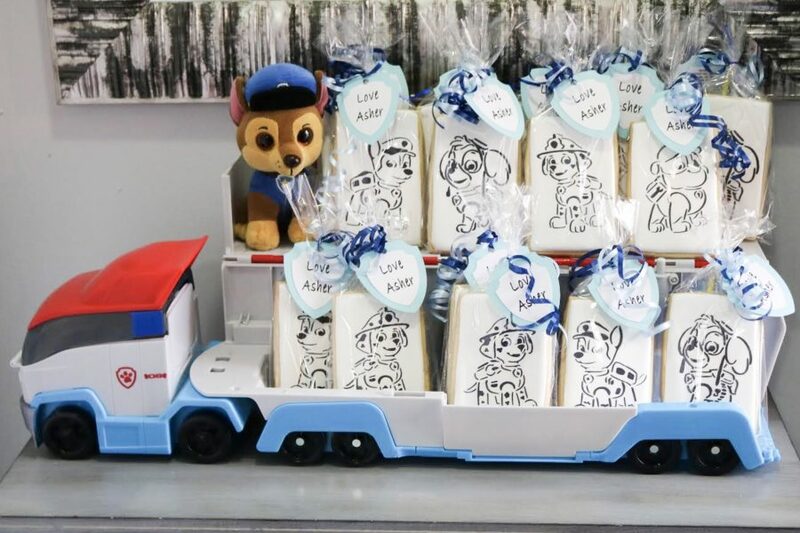 Also we have these cookies to give out as well as the little ones left which everyone always loves and they are at our boys birthday parties each year! 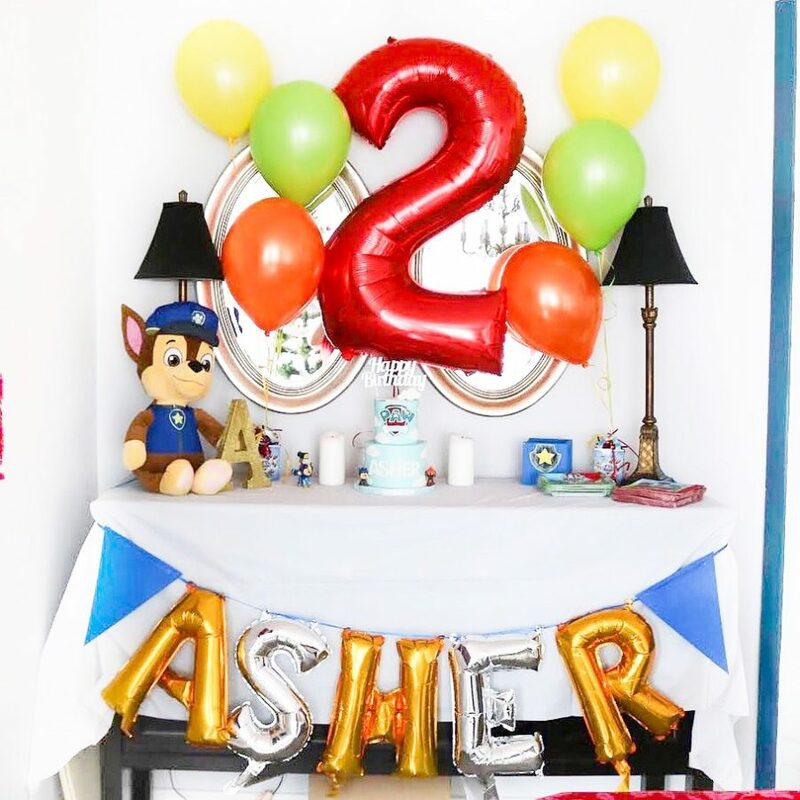 I know Asher had a great time with all his little friends and I look forward to planning his next big day… Let’s just wait and see what his new favourite thing is next year!! GET EVERYTHING YOU SAW HERE BELOW!